Aspen prepared an EIR for the Santa Barbara County Energy Division on the proposed Plains Exploration and Production Company (PXP) Tranquillon Ridge Project which involves the development of oil and gas wells from Platform Irene into the Tranquillon Ridge Field located in State waters using extending reach drilling technology. Platform Irene is located in Federal waters and is currently used to develop and produce the Point Pedernales Field also located in Federal waters. 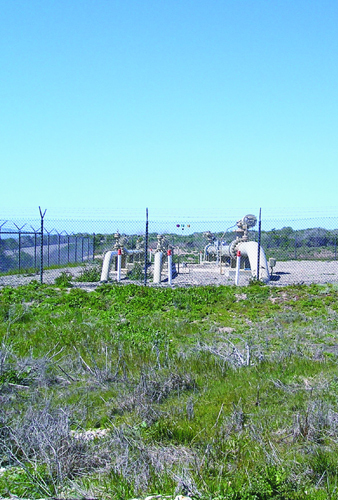 At Platform Irene, the produced oil and gas from the Tranquillon Ridge Field would be commingled with the Point Pedernales oil and gas, and sent ashore via existing pipelines from Platform Irene to the Lompoc Oil and Gas Plant (LOGP), located just north of Lompoc. The proposed project would have an expected total life of 30 years. The EIR analysis addressed the extension of life of Platform Irene, existing pipelines, and LOGP, including offshore oil spill impacts. In addition, an onshore drilling alternative is analyzed in the EIR. If implemented, the Tranquillon Ridge Project would provide an additional supply of crude oil and natural gas to California. It would allow PXP to develop the State portion of the Tranquillon Ridge Field from an existing platform in Federal waters using extended reach drilling and to transfer and process the produced oil and gas using existing pipelines and LOGP, respectively, which serves to minimize environmental impacts. In order to implement this project, PXP has requested modifications to the SBC Point Pedernales Project Final Development Plan (FDP) to include development of a proposed California State Lease (Tranquillon Ridge Field). The current FDP only allows for the processing of oil and gas from the four Point Pedernales federal leases. PXP has also applied to the CSLC for the issuance of a lease of State Tidelands for the purposes of oil and gas development. A lease from the CSLC is required to drill into the portions of the Tranquillon Ridge Field that lie within the State Tidelands. Development and production of the Tranquillon Ridge Field would result in the drilling of 22 to 30 oil and gas production wells from Platform Irene into the Tranquillon Ridge Field. It would increase oil and gas throughput in the existing Point Pedernales facilities, but within the limits allowed under the existing FDP. Peak production from Platform Irene with the Tranquillon Ridge Project is estimated to be about 30,000 bpd of oil and 6 mmscfd of gas. The project would enable an estimated 15-year extension in the life of the LOGP and 30-year extension of estimated life of Platform Irene from what was assumed in the 1985 Point Pedernales EIR/EIS and the 1993 Point Pedernales Subsequent EIR.